1. 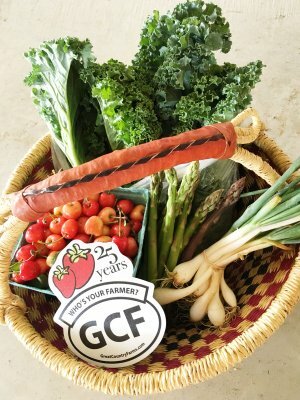 Thirty-six years from now, we’re going to need twice as much food as we produce today, Robert Fraley said, repeatedly. That sobering projection comes from an article by Jonathan Foley called “A Five-Step Plan to Feed the World,” which is part of a recent National Geographic series called “The Future of Food.” Fraley, who is Monsanto’s Chief Technology Officer and thus has much to gain from the success of genetic modification, agreed with Foley’s assertion that the either/or approach to the biotechnology debate will lead to mass starvation. To feed the nine billion people who will live on Earth in 2050, Foley suggests, we have to stop trying to prove that one of those rights is wrong. And to his credit, Fraley agrees. That’s good common sense. 2. Charles Benbrook pointed out that some GMOs, such as Bt corn, are already in their fourth or fifth generation, meaning that before enough time has passed to measure long-term effects of a particular modification, it has already been amended three or four times, which means any results available now are irrelevant because the current products are no longer the ones that were studied. 3. Half the people in the audience changed their mind about the issue during the course of the debate. Intelligence Squared functions like an egg-head version of American Idol: audience members and the remote audience watching at home get to register their position once at the start of the show and again at the end. It’s a way to judge who won. In this case the winner was clear: 32% of voters favored GMOs before the debate, and afterwards that number jumped to 60%, with most of the converts coming from the undecided camp. If I had seen the event live, I would have been one of those vote-changers, for two reasons: because, like Foley and Fraley, I think the world needs a variety of food-production methods, not just one. 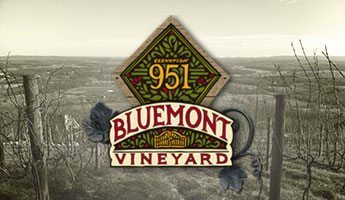 I realize that one argument against GMOs is that they may effectively foreclose on their competition, which is one of the reasons I still distrust the genetic modification movement; but Fraley and his partner Alison Van Eenennaam seemed less dogmatically entrenched than Benbrook and Margaret Mellon. And also because the pro-GMO team was better prepared for the contest. Both of them spoke in long, free-flowing sentences which created the impression that they had thought about their position thoroughly enough to see how different pieces of information connected to each other. Benbrook and Mellon, on the other hand, often spoke haltingly, as if their thoughts resembled the bent scraps of paper that Mellon fingered on the table in front of her. I guess presentation makes a difference. 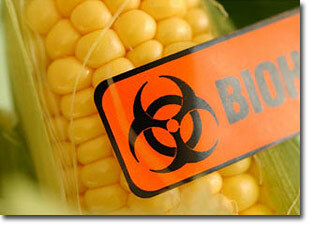 A Civil Discussion about GMOs? If that doesn’t make you swallow your caramel corn and sit up straighter in your chair, then I don’t know what will. 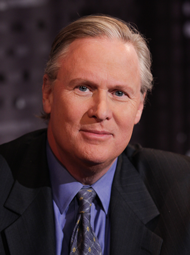 John Donvan moderates Intelligence Squared debates. I came across that debate thanks to an article in Grist entitled, “Finally, a GMO Debate Without Shouting,” and since that seemed almost as unlikely to me as a fish making moves on a tomato, I clicked on the link. I have my own attitudes and inclinations on that issue, and I know from experience that explaining them to someone who inclines otherwise causes my voice to rise and my face to flush with blood. That’s because I don’t know why I think what I think well enough to explain why I’m right once the discourse shifts into capital letters — I JUST KNOW THAT I AM! If you think those questions are important — I do — and you have some open viewing time, maybe you’ll watch this debate. I plan to watch tonight and report on what I learn tomorrow. Maybe we can use the comment section under this post as a forum for discussing what we learn. 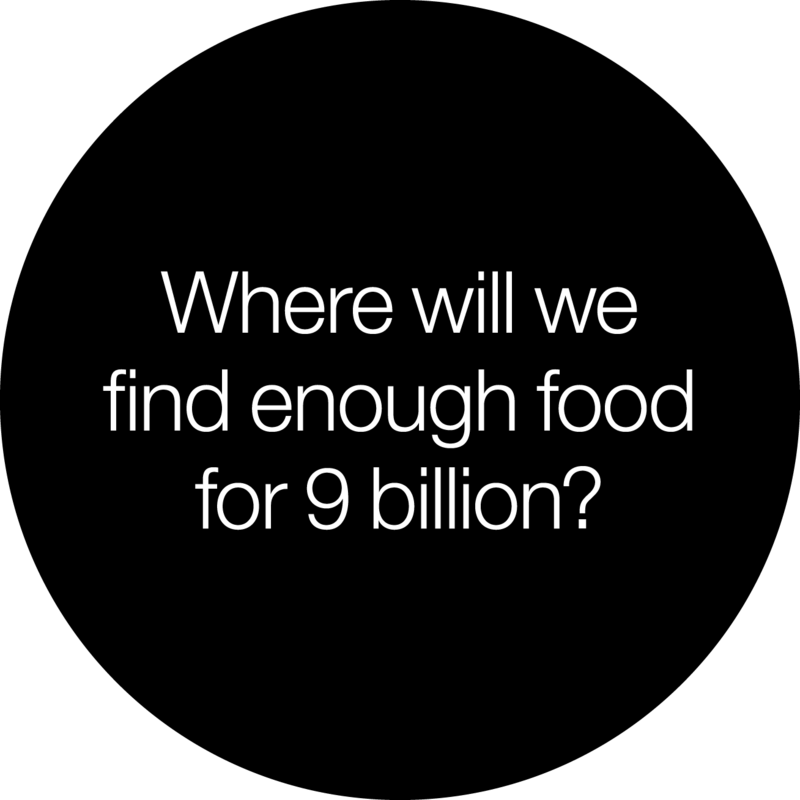 What to Feed the World? American industrial agriculture may be standing in the way of international cooperation. 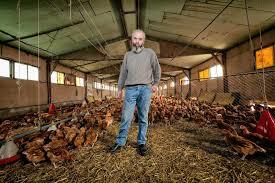 Jean Cabaret and his unwashed chickens. ‘This’ is the Transatlantic Trade and Investment Partnership, an agreement that would link the economies of the United States with those of the 28 nations comprising the European Union more intimately than ever before. The horse of globalization is already out of the barn, right? Why not hitch it to your cart? Because doing so might drench your chicken in the chemical that keeps your local swimming pool from incubating all the nasty stuff that washes off of other people’s bodies: chlorine, which was recently used to thwart the annual Midwest FurFest Convention, prompting the evacuation of a Hyatt Hotel in suburban Chicago, and sending 19 people to a local hospital. Jean Cabaret doesn’t want to eat that stuff. Isn’t that a good thing? Wouldn’t it create, like, millions of new jobs, both here and in the many European countries whose economies are in worse shape than ours? Maybe, but it would also end Europe’s ban on American “Frankenfoods” — genetically-modified, hormone-boosted, or chlorine-sanitized products most Americans eat every day. A lot of people on the far side of the pond want to keep that ban in place: last week an online petition opposing TTIP garnered its one millionth signature, a number that forces the European Parliament to hold a hearing on the matter. “Most of these concerns about chemical use and those kinds of things are blown up in the media to become a problem that really doesn’t exist,” Scott Russell, a professor of poultry processing at the University of Georgia (who would have guessed that poultry processing had its own professoriate? ), told National Public Radio back in September. 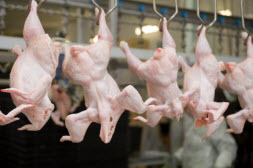 Russell reports that the American poultry industry uses only one capful of chlorine per gallon of water, and the chemical poses no health threat because it gets rinsed off the chickens (with unchlorinated water?) before they’re sold to us. But safety may not be the motivating factor here — it’s probably money. 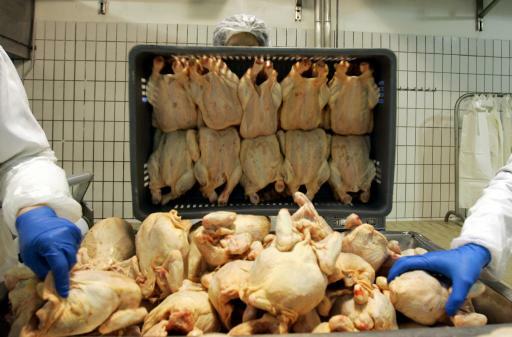 According to a study by a Dutch university, it costs the American poultry industry about 80 cents to make a pound of chicken, while European chicken growers, who can’t use chlorine or hormones, have to spend a dollar. How long can principles hold out against a profit margin differential of 20 percent? Passage of TTIP wouldn’t force Parisians to eat Purdue chicken, of course, but it may price Jean Cabaret’s birds right out of the market. The pool at Franklin Park may offer safer swimming than Stoney Creek, but I don’t go to Stoney Creek to swim in safety. I go for the drive, and for the climb up the back side of that cliff with the jumping ledges at three different levels — high, scary, and I’ve-never-tried-the-top-one. It’s true that the last time I was there my dog pooped in the water, but he was on the other bank and the turd floated downstream pretty fast. If every dog in The Shenandoah Valley pooped in Stoney Creek, I don’t suppose I’d want to swim there, and you may not want to swim there knowing my dog did, but how many of us would prefer a version of The Shenandoah Valley where the only place to swim is Franklin Park? The other day my sister-in-law, who’s a nuclear physicist, overheard me talking to her daughter about the corn we grow at Great Country Farms. 1. Genetically engineered crops haven’t existed long enough for anyone to have a clear sense of how they might affect the human body over time. 2. One company, Monsanto, makes both the herbicide that allows for greater corn yields and the GE seeds that tolerate heavier doses of that herbicide, and I distrust that kind of profit-driven harmonious interest, especially when it controls 90% of the American corn market. “I thought genetic engineering was supposed to reduce pesticide use,” she said. That seemed unlikely to me, but without any evidence to the contrary, I had to admit that it was possible. Two days later, Mark Zurschmeide sent me a link to this article, which provides a lot of specific information that makes glyphosate look like a bad idea. The argument in favor of glyphosate has always been that it doesn’t hurt people because it works by disrupting production of amino acids that are crucial to plants but not to people, so it kills them but not us. But Doctors Anthony Samsel and Stephanie Sennef of MIT recently published a paper pointing out that the microbial cultures in our intestines need to produce those same amino acids, and that glyphosate effects those cultures the same way it effects broadleaf cultures in a cornfield. So glyphosate may not in fact directly damage human tissues, but by killing off our inner flora, it undermines our health substantially. “Roundup significantly disrupts the functioning of beneficial bacteria in the gut and contributes to permeability of the intestinal wall and consequent expression of autoimmune disease symptoms.” says Sarah Pope, the Healthy Home Economist. I still consider myself relatively uninformed about these matters, and I realize that everyone who takes a stand on the issue has a bias of some kind — I’m trying to neutralize mine by copping to it — but it makes sense that glyphosate, a pesticide, would trounce my inner flora. Of all the things to protect, why butterflies? For their good looks? For their symbolic value as things that undergo dramatic change inside cocoons? And because they’re good pollinators. Since 1996, when the Monsanto Corporation began engineering corn and soybeans that tolerated repeated applications of its Roundup herbicide, most large-scale farming in America has shifted toward those products — and thus shifted away from weed-control practices that afforded milkweeds a modest survival rate. Herbicides kill not only milkweeds, where monarchs lay their eggs, but also wildflowers which provide the nectar adult monarchs need to survive. Brower says that between the time they emerge from the chrysalis and the time they head for Mexico, adult monarchs pack on 100 mg of fat, all of which comes from wildflowers. Without that fuel, they can’t make the trip. 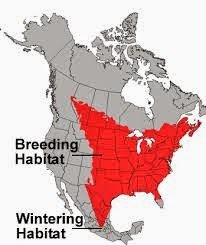 system of American agriculture to help them recover. 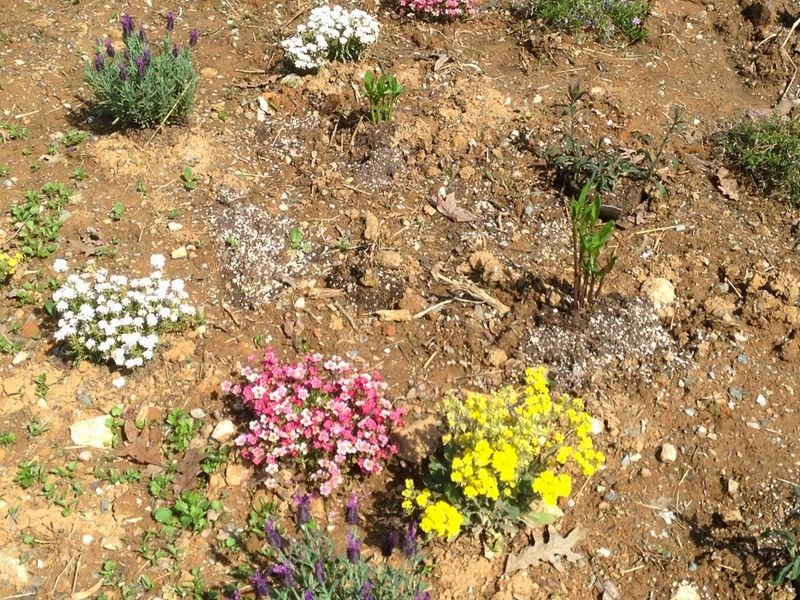 All we have to do is plant a few milkweeds and nectar sources in our gardens. 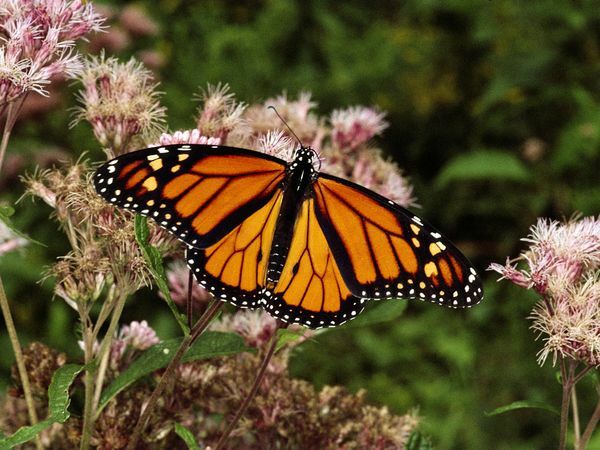 Great Country Farms has joined the Loudoun Wildlife Conservancy’s “Keeping the Magic Alive” campaign by establishing a monarch way station here on the farm and designing a butterfly tour option for visiting school groups to help children and their teachers understand the plight of the monarch. To join the campaign in your own back yard, visit the Loudoun Wildlife Conservancy’s website.